Remember when people used to write letters? 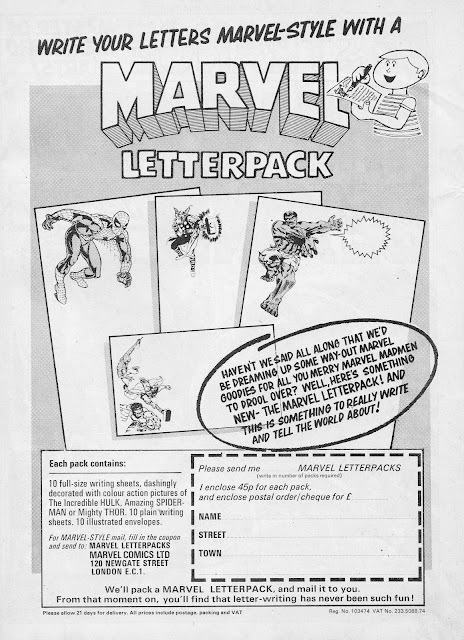 Imagine how much more impressed your aunts and uncles would have been if your grudgingly-written (sometime in March) Christmas thank-you letters had been scrawled on this Marvel stationary? This mail-away offer appeared in Marvel UK weeklies (specifically THE AVENGERS in this case) in December 1973.